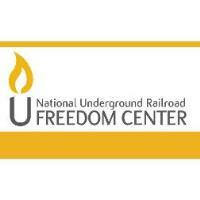 CINCINNATI, OH (August 15, 2018) – The National Underground Railroad Freedom Center will host the Back to School Youth Symposium: Welcome to My World program on Saturday, August 25, from 2 – 4:00 p.m. This program, in partnership with the Cincinnati Regional Coalition Against Hate, is free and open to the public. RSVPs are requested. Social issues such as the use of the racial slurs, bullying, and violence in schools have become part of our daily conversation. The Back to School Youth Symposium: Welcome to My World will be led by local youth who will share their personal experiences, express their concerns, and challenge the audience to move beyond complacency to achieve a greater understanding. Nila Kennedy-Young, a sophomore at Sycamore High School will moderator this meaningful discussion with students from Greater Cincinnati schools including Campbell County, Lakota East, Loveland, Milford, Riverview, St. Xavier and Walnut Hills. "We are looking forward to this exceptional program that will enlighten the community on important issues from the perspective of the next generation,” says Christopher Miller, Director of Education for the National Underground Railroad Freedom Center. "Their perspectives are critical in understanding their day-to-day reality and how they can be active supporters of diversity, equity, and inclusion in our schools." The Back to School Youth Symposium: Welcome to My World is Saturday, August 25, from 2 – 4:00 p.m. at the National Underground Railroad Freedom Center. This program is free and open to the public. RSVPs are requested. Visit freedomcenter.org for more information.